This is the label Tim Clark gave to today’s announcement of the partnership between Qantas and Emirates. 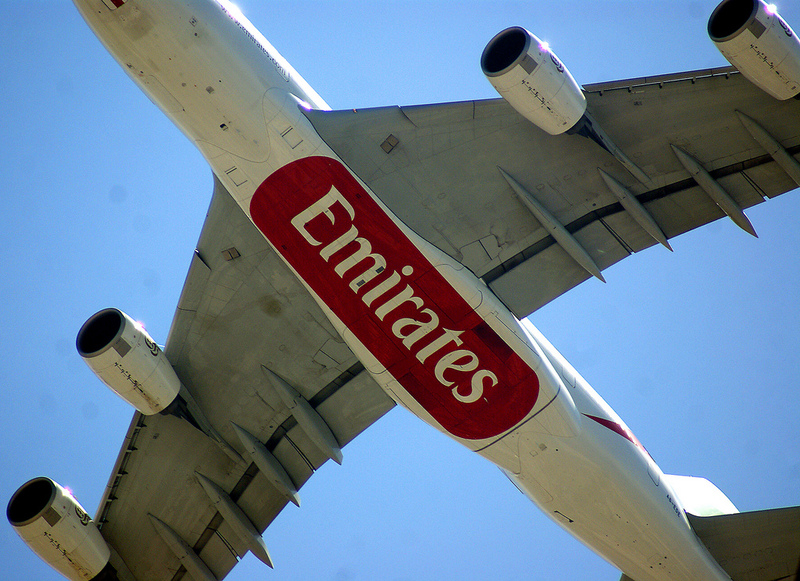 For Emirates, it is merely an endorsement that its strategy and positioning has worked. For Qantas, the agreement represents a considerable strategic shift, forcing the airline to finally acknowledge many of the operational issues that should have been acknowledged up to a decade ago. The partnership “representing a step-change for the aviation industry” while true, is ironic. Qantas has essentially endorsed Emirates strategy and positioning, something it has vehemently fought against and accused of everything from receiving subsidies to capacity dumping for years. Even after the Qantas rhetoric, will passengers buy this sudden strategic shift? Perhaps. Why? Sure, it doesn’t deliver Qantas operated services to passengers outside Melbourne or Sydney. What it does represents a fundamental change in airline thinking, that Qantas recognises the importance of the mature and continuously developing expectations passengers have of airline alliances. It recognises that passengers will fly if the alliance can take you where you want to go, with the benefits you deserve with full reciprocity. Something which has become murky in the wider world of airline alliances. The alliance is risk averse, it allows Qantas to minimise its exposure to the European market and the trans-Tasman market, where Emirates with its much lower margins and cost structure is more competitive. The association with a brand considered to be one of the world’s best, will also dramatically enhance Qantas’ international exposure. “It’s not you, it’s me”. On 31 March 2013 Qantas will end the 17-year Joint Services Agreement with British Airways, the breakup an indication that in today’s operational environment the alliance wasn’t delivering from an operational, passenger experience or yield perspective. Qantas will also cease to fly the Kangaroo Route to Europe, just over 65 years after the airline first started flying the route on 1 December 1947. Services to Frankfurt will also be suspended, a route that has long not been profitable because of high jetfuel prices, the Boeing 747-400s full burn and high-aircraft weight. 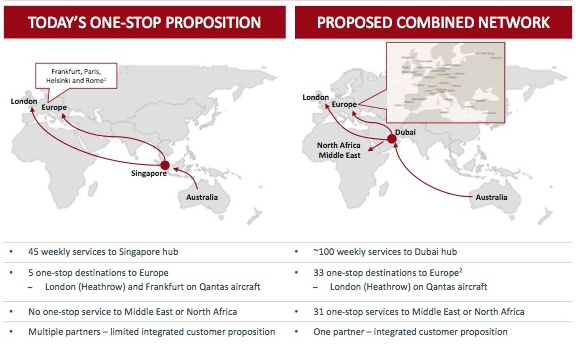 The partnership doesn’t extend across Asia, with QF/EK connections only available to Emirates services through Singapore and Bangkok. In addition, Qantas codeshare services with Cathay Pacific and Air France to Rome and Paris respectively will also be cancelled. Changes have also failed to address Qantas’ neglected international markets from Perth, Adelaide and Brisbane. Perhaps more important than the partnership, is Qantas acknowledgement that its Asian services need to be transformed. For many years Qantas has neglected the region home to our biggest trading partners and inbound tourism markets. Services to the region will be enhanced, with new flights and changes to schedules in recognition of a need to be more business friendly. Will Qantas actually receive a portion of the 15 Boeing 787-8s it subsequently directed to Jetstar in support of this? Time will tell. Back in 1996, Qantas entered into a partnership with an emerging carrier, Emirates. When it ended, no one noticed. How things change in 15 years. Now the world is watching, and it seems everyone else, especially John Borghetti, was right. The Qantas-Emirates partnership website can be found here. And, Qantas’ full statement here.